It is an excellent experience. 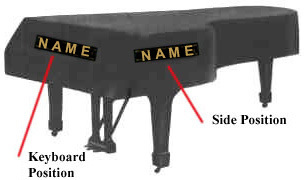 We had a piano template long time ago when we bought our Schimmel. To make the top cover fit is easy, the hardest part the the front top keyboard part. We marked the template and sketched the shape of the front top keyboard. We have received a perfect fit cover in style. The quality of stitch is superb, the front top keyboard part has a perfect curved fit. Great! Received original cover which had a design flaw and did not fit our piano. The gals in the home office quickly special ordered a replacement and got it to us just in time for Christmas. It fit like a glove and looks great. A high quality product. Kudos to the fine folks at Piano Showcase - www.vandaking.com. My wife was totally surprised and loves her quilted, padded Macintosh cover - THANKS! I love the customizations and simplicity of ordering here compared with anywhere else. The one time I had trouble with a custom measured cover (not this one, a previous one/different piano), I was able to return and have it remade without a fuss. Quality of materials for this specific cover exceeds expectations. Piping on the top is almost perfect, maybe an inch here or there from exact match. 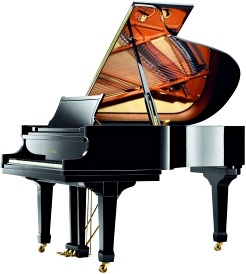 I ordered the extra heavy, quilted cover for my baby grand, hoping it would protect my piano from our cats. The quality and thickness exceeds my expectation! It fits perfectly, looks good and was a great choice. Thank you for marketing such a fine product.